Combustion Emissions Analysis | Veronics Instruments Inc.
Veronics Instruments is now Proudly Representing the Ecom line of Portable Industrial Analysers making Emission Monitoring Fast Accurate and Painless! 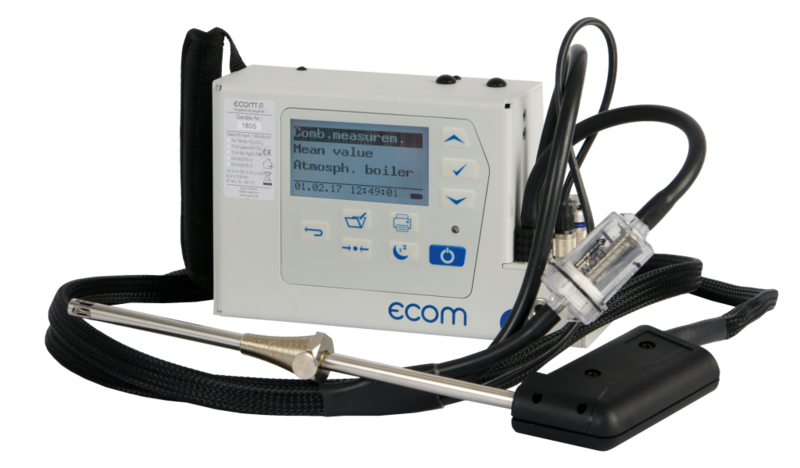 ECOM-B – Functioning as a durable case mounted analyzer the Ecom-B is built for Boiler Tuning and Efficiency. Available with up to 3 Sensors. Onboard Calculations for CO2, Efficiency, Excess Air and O2 Correction! The ECOM-CL 2 is the perfect combination of wall positioned and floor standing instrument. It can be fitted with up to 3 gas sensors, measuring O2, CO & NO plus Stack and Ambient Temperatures and Stack Pressure and Draft. The Ecom-B Plus also calculates CO2, efficiency losses, excess Air and Oxygen Corrections 0-20%. The instrument is affixed in it’s own aluminum carrying case for rugged field use. 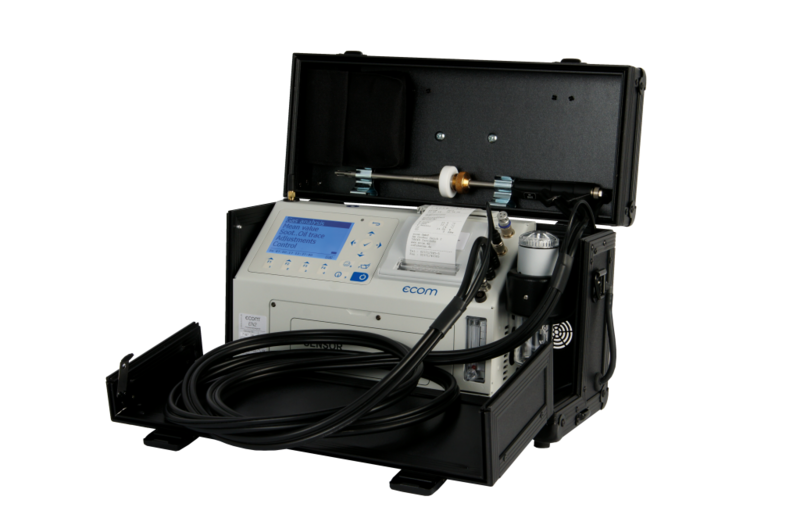 The ECOM-EN2 is a compact portable combustion analyser offering features found on larger more expensive units. It is a compliance level analyser. 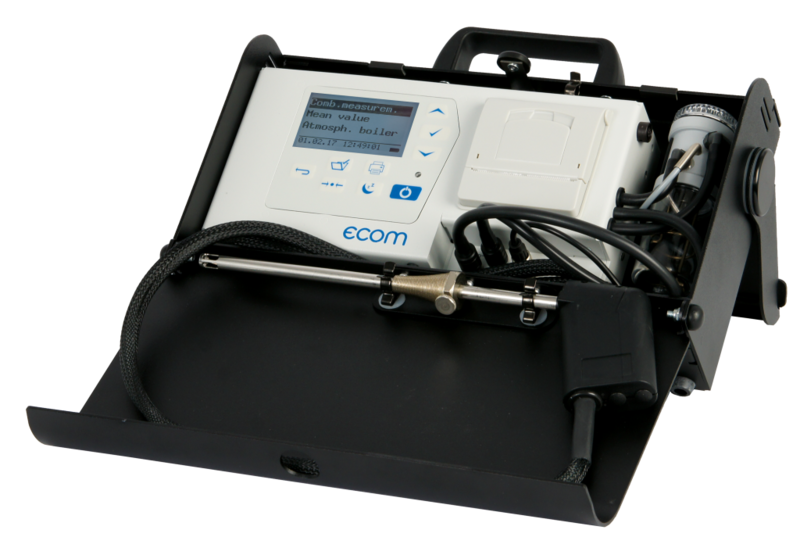 The ECOM-EN2 measures up to 4 gases form O2, CO, NO and NO2, plus probes for temperature and stack draft/pressure. *Other lengths available. Please ask for details. This page is under construction. Full updates coming shortly. Call 905-643-7020 for further details and application assistance.